Vitamins and minerals are a basic nutritional supplement. They are considered essential substances, which means that our body is not able to produce them. Vitamins and minerals participate in all processes in the body. They maintain good overall health, strengthening the immune system, promoting muscle growth and proper fat burning, regulating metabolism, stimulating the process of releasing energy from the food etc. Also certain nutrients help to keep the veins and arteries strong and elastic. The vascular system which is also called the circulatory system consists of arteries and veins that carry oxygen and nutrient blood and lymph through the body and taking away tissue waste matter. 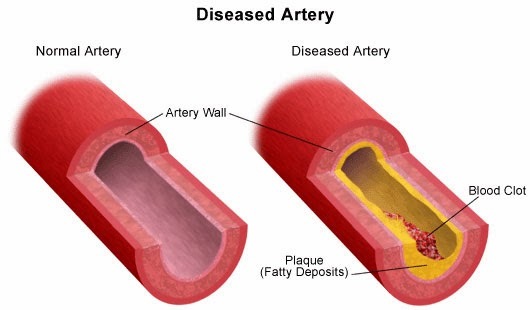 With time, as we age, arteries and veins may become damaged which increases the risk for certain diseases. To keep your veins in good and healthy condition, it’s very important to exercise regularly, especially cardiovascular exercise such as running, walking, swimming etc. There are also certain certain foods and supplements that can help to keep our arteries and veins strong and healthy and protect them from damage. Vitamin C also known as L-ascorbic acid is a water-soluble vitamin and and when it comes to vascular system this vitamin is a nutrient that is needed to manufacture collagen (found in muscles, bones, skin, blood vessels, digestive system and tendons) and elastin (protein found in connective tissues), which keep the walls of the veins and arteries strong, flexible and healthy. Fruits and veggies like lemons, oranges, melons, papaya, kiwi, berries, grapefruits, bell peppers, dark leafy greens, broccoli, tomatoes etc. DV for vitamin C is 00 mg for adult according to U.S. Food and Nutrition Board of the Institute of Medicine. This vitamin helps to keep blood clotting proteins (platelets) from sticking together and thus causing the walls to narrow, stiffen and weaken. According to Vein Care of America vitamin E promotes healthy circulation of blood throughout the body and healthy veins and arteries and deficiency in this vitamin may lead to formation of clots in the blood vessels. Foods rich in this vitamin are eggs, avocado, almonds, nuts, seeds, wheat, dark leafy vegetables, potatoes, palm oil etc. As many of you probably know, fiber is very important in digestive health. Fiber also can help prevent heart disease, diabetes and weight gain. Healthy weight prevent varicose veins which may weaken the valves and walls of the veins. Another very important thing with fiber which is linked with vascular system is that fiber reduces the risk of high cholesterol which can directly affect the vascular system. According to the American Academy of Family Physicians, with more fiber in your diet, unhealthy fats from your digestive system may be removed before they become absorbed by your body. Fiber in your diet also reduces the risk of risk of high blood pressure, heart disease and stroke. Food which need to be in your daily diet and is rich in fiber is fruit and vegetables, wheat, oatmeal, brown rice, beans, lentils etc. This plant pigments are responsible for the colours in fruits and veggies help to relieve pain, aching and swelling which is caused due to varicose veins issue. These nutrients that may be found in dark leafy greens, garlic, onions, berries, grape etc, have the unique ability to strengthen the valves and the wall of the blood vessels and keep them health.